The protest wave sweeping across Sudan was never about bread; it is a nation fed up with a decades-old military dictatorship, say human rights activists and experts. People took to the streets in the town of Atbara in the northeast on December 19 to voice their grievances, spawning similar protests in the streets of other towns and the capital, Khartoum. The protesters are calling for freedom, peace, justice and a change in leadership in the northeast African country. The government of President Omar Al Bashir is responding with live ammunition, tear gas and stun grenades. Protesters who survive the deadly clashes regroup and return to the streets. 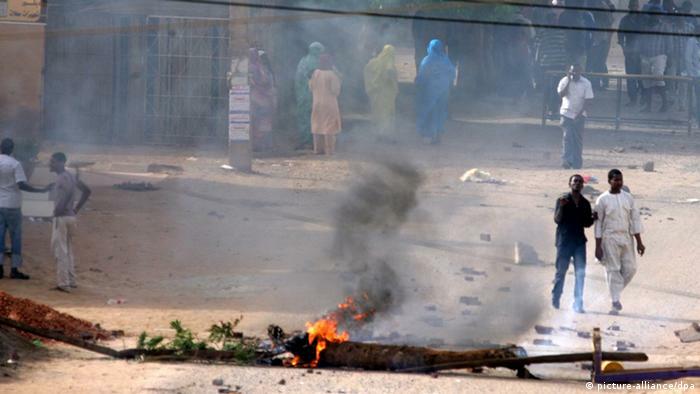 "In most of Sudan's almost 170 cities and big towns, someone has been shot. In some of them, more than 15 people have been shot. The shooting is happening through unofficial types of militia that the regime is using," says Khansaa Al Kaarib, a Sudanese human rights lawyer and activist. "For 30 years, this is what the Sudanese people have been getting from Bashir: killing, killing, killing and more killing. People are simply fed up with this and they want to change this regime. They want to get out of the perception of a people lying under an ICC-wanted criminal, as soon as possible." Al Bashir has vowed to crush the "bread protests" he insists are being orchestrated by opposition "infiltrators," some of whom are supposedly backed by Israel and all of whom are intent on sabotaging his regime. Sudanese opposition leaders are among those who have been arrested for the protests. A group of Darfuri university students "confessed" on national television to being a "sabotage cell." They are accused of an arson attack on the offices of Al Bashir's ruling National Congress in Atbara. "There is no one to blame. The whole of the country is out on the streets. Bashir has nothing else to say," says Al Kaarib. Sudanese activists and international human rights groups dispute the official death toll of 19 provided by Khartoum since the start of the protests, saying it is much higher. Sudan expert Magdi El Gizouli agrees that the government's claim of infiltrators is "complete, absolute nonsense." The protesters are young men and women who have been pulled into the political sphere over the failures of government policy, he notes. "The wave of protests has nothing to do with the formal opposition. What the government cannot deal with is that these [are] individuals, people, students who don't really have this political record that they're looking for in an opposition activist," says El Gizouli, a fellow of the Rift Valley Institute in Germany. "There's been a lot of talk in the media to say that these protests have been triggered by fuel prices and economic problems. The protesters have been repeating a call for freedom, peace and justice – and for the regime to go. Nobody was talking about bread since day one," says Al Kaarib. Although the wave of anti-government protests is unprecedented in duration, it is not the first time the people of Sudan have taken to the street to demand a regime change. "The last time it happened was just two years ago. There was countrywide civil disobedience, where the people also demanded for the regime to come down. In 2013, people came out – 300 of them were shot dead in the streets of Khartoum. In 2011, a lot of protests were going on against the regime," says Al Kaarib. "This time though, they are not giving up." The north-south split in Sudan in mid-2011 came after decades of civil war. Statehood for South Sudan meant major economic repercussions for Sudan. The Sudanese economy has largely collapsed since. Read more: Opinion: South Sudan's new peace deal — will it hold? The bread price tripled in Atbara on the eve of the protests and Sudan is experiencing chronic shortages of fuel and other basic goods. "There is something novel and interesting about this wave of protests: The didn't start in Khartoum but in provincial towns because the price of bread tripled in these towns, as compared to the capital," says Magdi El Gizouli, a Sudanese academic and fellow of the Rift Valley Institute in Germany. "One reason for them to be particularly angry is that this comes against the background of severe economic deterioration in the country." 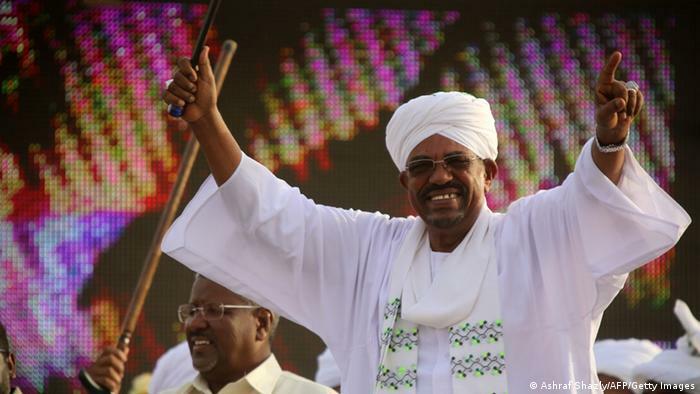 It is definitely time for Al Bashir to step down, according to El Gizouli. "It has been time for some years already. He is not out of government, of course, but I think Sudan has gone beyond him. He is almost a relic of another era. People who were born in 1989, when he came to power, are today young adults with own families," he says. The United Nations, amid continuing protests in Khartoum and other parts of Sudan on Friday, urged the Al Bashir regime to investigate the protest deaths and violence. The protests prompted authorities to declare a state of emergency and disrupt social media platforms and key mobile networks. The protests spawned the hashtags #SudanUprising and Sudan_Revolts and drew immediate support within the Sudanese communities in the United States and Ireland. 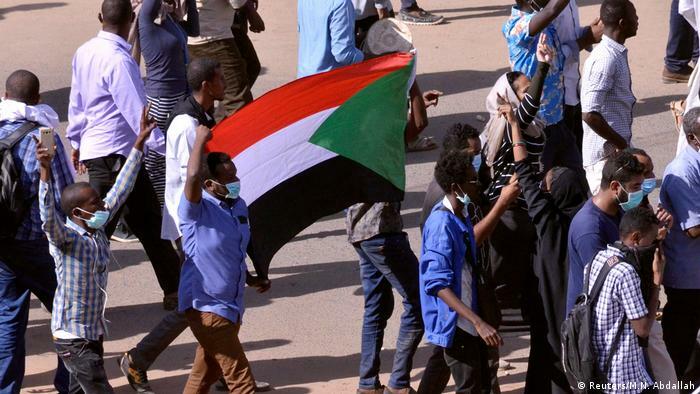 Although some of the Sudanese protesters used an Arab Spring chant of "The people want to bring down the regime," there is little to compare with the revolution that spread through North Africa and the Middle East in 2010, says Al Kaarib. 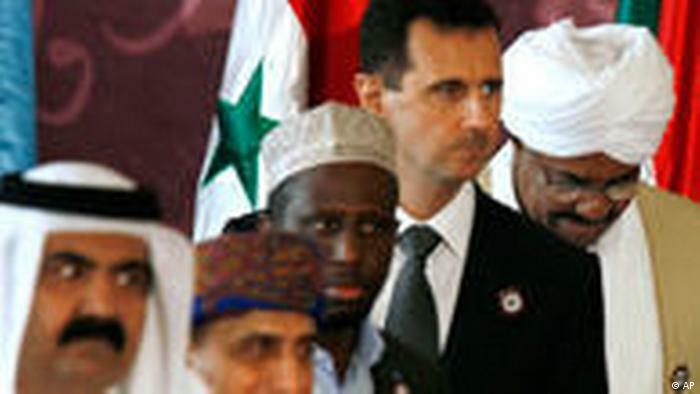 "This is not an Arab Spring, in the sense that this is not a move that has been orchestrated from the outside. This move is very, very, very spontaneous. These are Sudanese people moving in their own way, in the same style that they moved in 1964," she says. A popular uprising that had seen five days of protests countrywide that year brought a military government to an end. Until then, Sudan had been led by General Ibrahim Abbud for some six years.